Did 'Hateful Rhetoric' Cause Shooting? Hear Planned Parenthood's Careful Response : The Two-Way In an interview on NPR's Morning Edition, Cecile Richards spoke about Friday's attack at a facility in Colorado Springs and about an "incredible escalation of harassment and intimidation" at clinics. 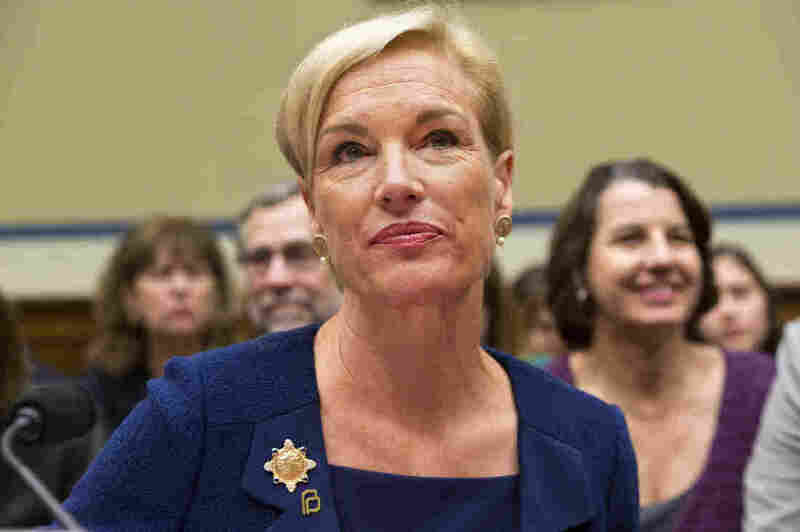 Planned Parenthood Federation of America President Cecile Richards listens while testifying during a Sept. 29 House panel hearing on "Planned Parenthood's Taxpayer Funding." Richards spoke of an "incredible escalation of harassment and intimidation" over the past five years at clinics that provide reproductive health services, including abortions. She called the escalation "un-American." This sort of hateful rhetoric "has real impact," Richards said, adding that some of the most heated language is in the presidential campaign. "Folks are willing to say anything, it seems, to get ahead in their political ambitions." She stopped short of claiming that a long-running conservative campaign against Planned Parenthood specifically motivated Robert Lewis Dear, the man accused of opening fire on Friday. News reports have quoted Dear as mentioning "baby parts" in a statement to police, but police have not released a motive. Republicans have led a call to defund Planned Parenthood over edited videos released by an anti-abortion group alleging the organization violates rules on fetal tissue donation for research. Republican presidential candidates have rejected any link between anti-abortion rhetoric and the shootings.